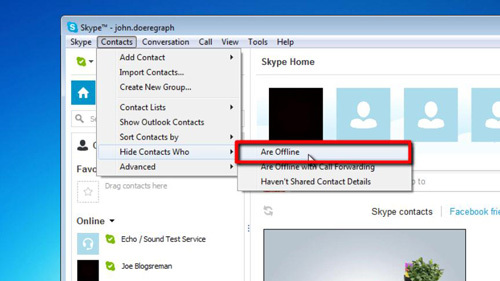 In this tutorial you are going to learn how to view online skype users which can be useful if you want to find out whether you can contact one of your friends immediately. 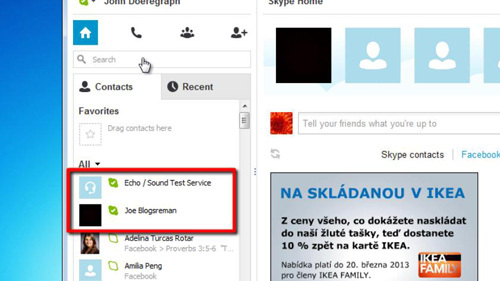 Open Skype and make sure that you are logged into your account. 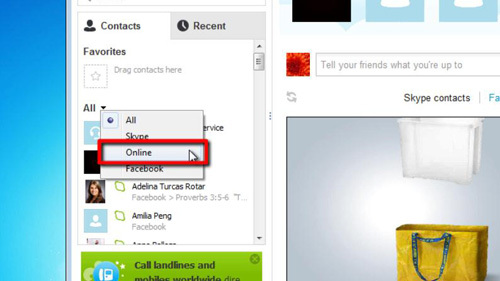 By default when you are in Skype you will see a list of your contacts and those who are online will appear at the top. The default setting is to view all contacts and at the bottom of this list you will also see offline contacts. To view just online contacts, click on the small arrow next to the option that currently reads “All” and from the drop down menu that appears click “Online”. Now this list will only show those users who are online. An alternative way to just view online users is to hide those users who are offline. Click “Contacts”, navigate to “Hide Contacts Who” and then click “Are Offline”. Now, even when we switch back to “All” from the drop down menu we still won’t see contacts who are offline. That is the simple process for how to view online skype users.